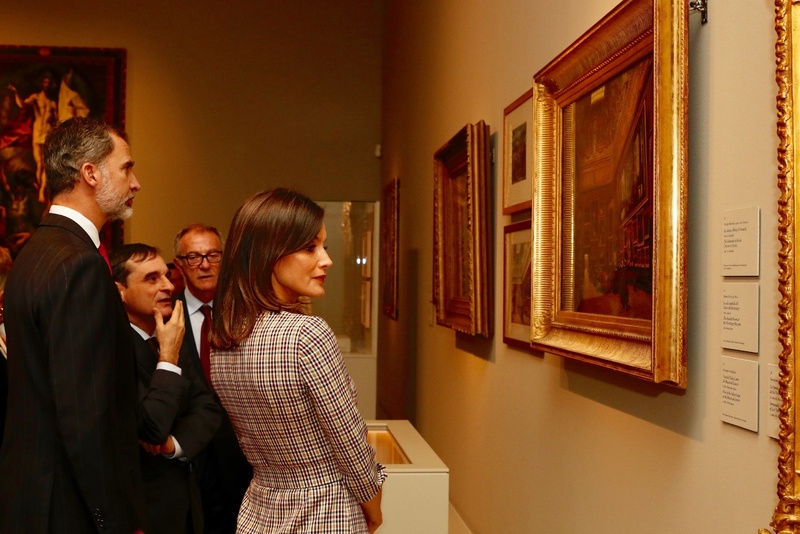 On Monday, Queen Letizia accompanied King Felipe to the opening of the Bicentennial of the National Museum of the Prado and inauguration of the exhibition “Museo del Prado 1819-2019 – A place of memory” in Madrid. 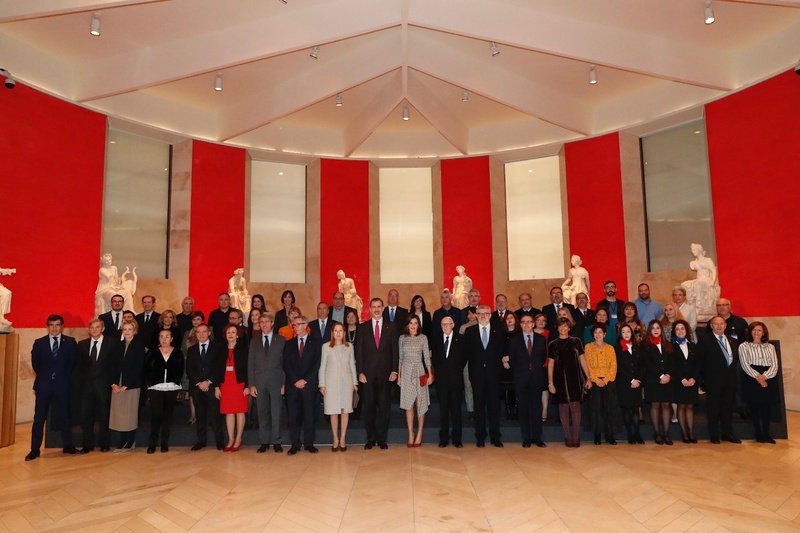 Felipe and Letizia are the Honorary Presidents of the National Commission of the National Museum of the Prado. 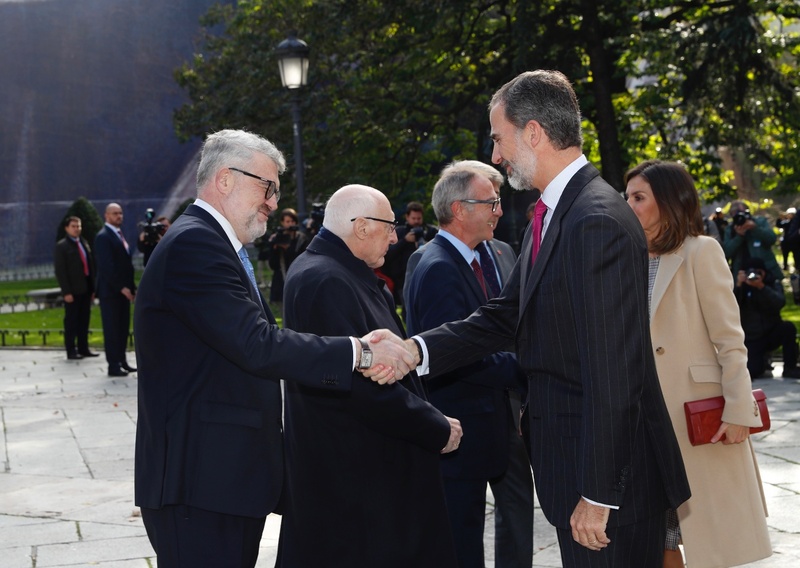 Upon arrival they were received by the President of Congress of Deputies and Museum Administration. The Royal Museum of Painting and Sculpture, which in 1868 became known as the National Museum of Painting and Sculpture and later the National Museum of the Prado opened to the public on November 19, 1819 with 311 paintings from the Royal Collection, all by Spanish authors, hung in its walls. In 2019 the museum celebrates its Bicentennial. A video presentation was screened showing the history of the National Museum and its journey through out. 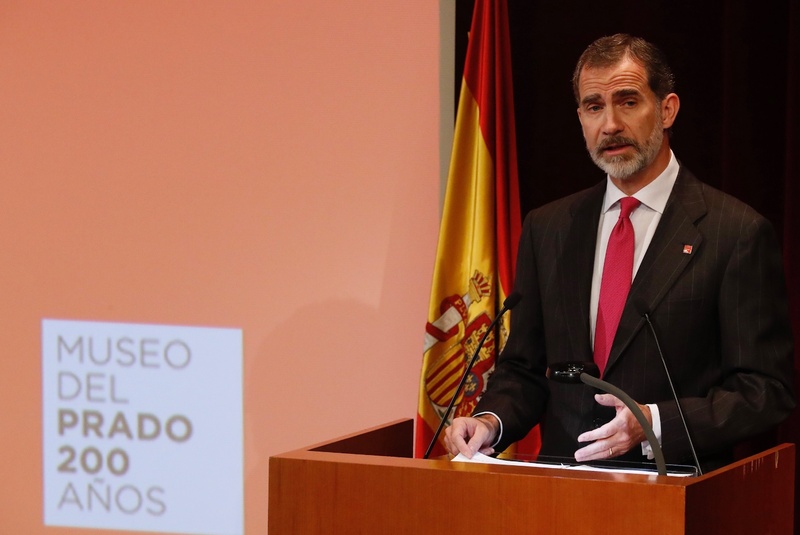 Speaking after the video screening King Felipe said, “The Prado is much more than the privileged physical space of an innumerable amount of masterpieces, because, over time, it has also been erected, as the title of the inaugural exhibition of the Bicentennial, in a place of memory, of our memory”. 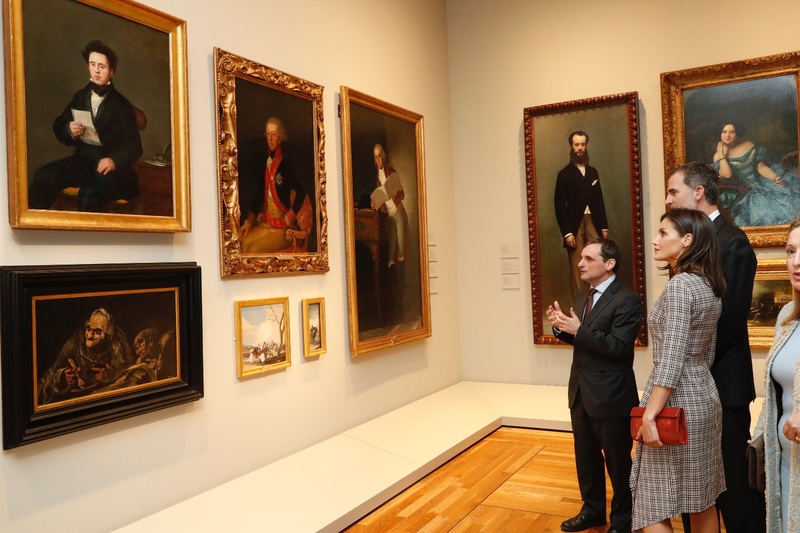 The royal couple was given the tour of the museum when in the Room A and B they inaugurated the exhibition “Museo del Prado 1819-2019-A place of memory”. The exhibition displays and promotes a journey through the history of the Museum. 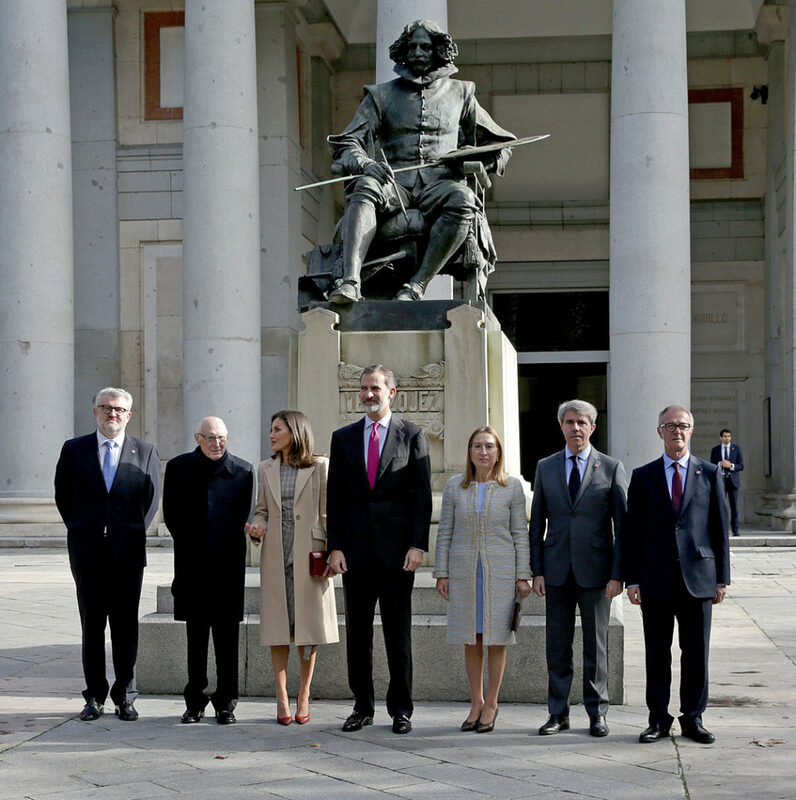 It shows the contribution of the Crown to the museum, the journey of the museum, its role in Spanish Society, the trends that have guided the increase of its collections, the conversion of the Prado into a “place” that has served for national and international writers, intellectuals and artists to reflect on its past and collective identity. 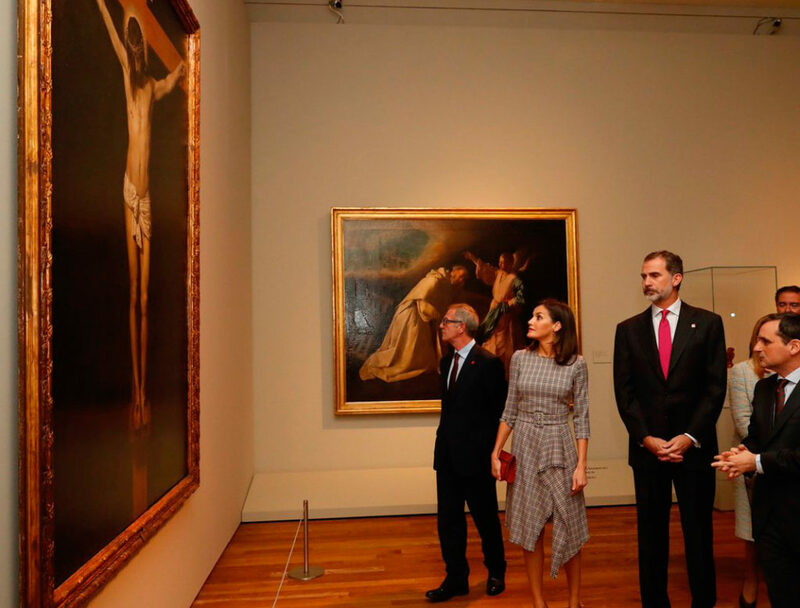 For the visit, elegant Spanish Queen chose a very artistic look. 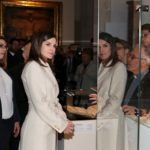 Letizia was wearing a beige long coat. 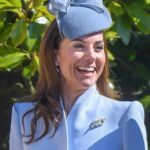 The wool crepe coat featured long lapel collars with a belted waistline that Letizia chose not to tie. 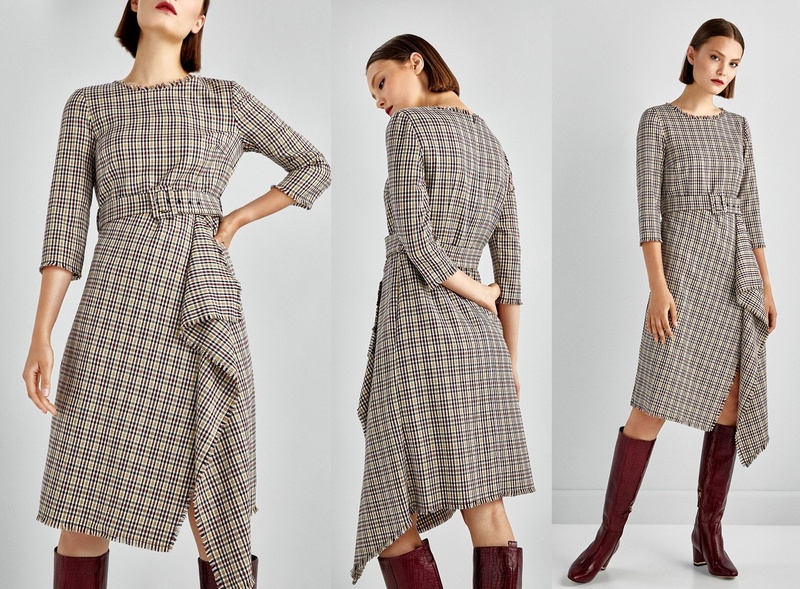 Underneath the coat, Letizia was wearing a gray check dress from Spanish label Pedro Del Hierro. 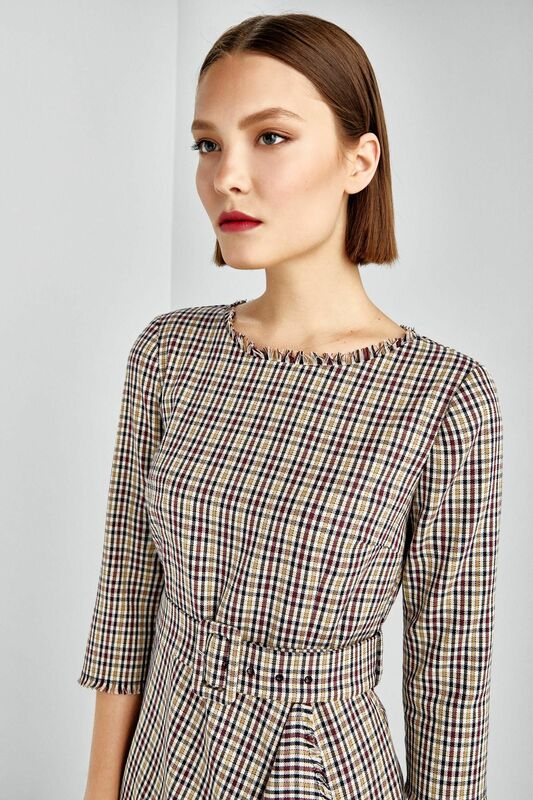 The dress is described as, “Check patterned midi dress with open and asymmetric detail on the front. Includes belt with matching square buckle and detail of frayed finishes“. The originally €159.00 dress retailed at €143.00 before selling out completely. 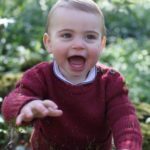 The dress featured a frayed round neckline, three quarter sleeves, a self belted waistline and asymmetric hemline. Dress was perfectly falling in the line with Queen’s quirky and edgy style. A closer look at the pattern of the dress and frayed detailing. 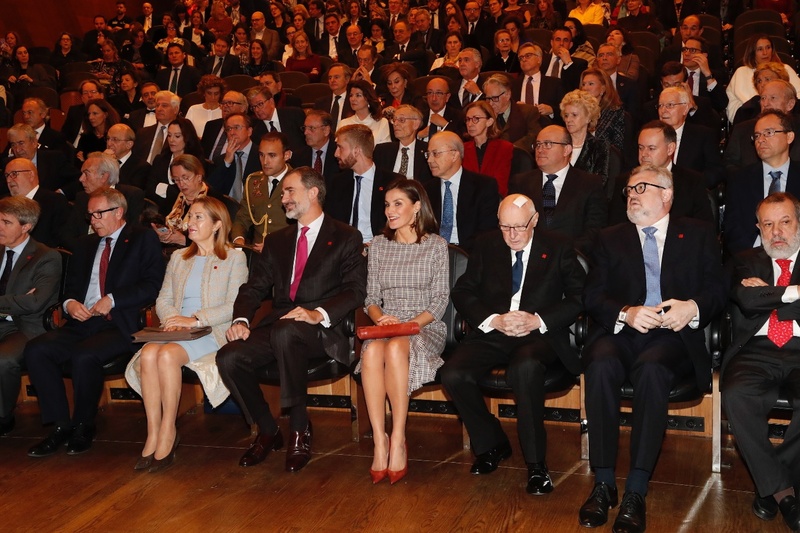 Letizia gave a pop of colour to the look with her burgundy accessories. She wore burgundy leather and suede Magrit pumps that she premiered at the lunch hosted for Germany President. 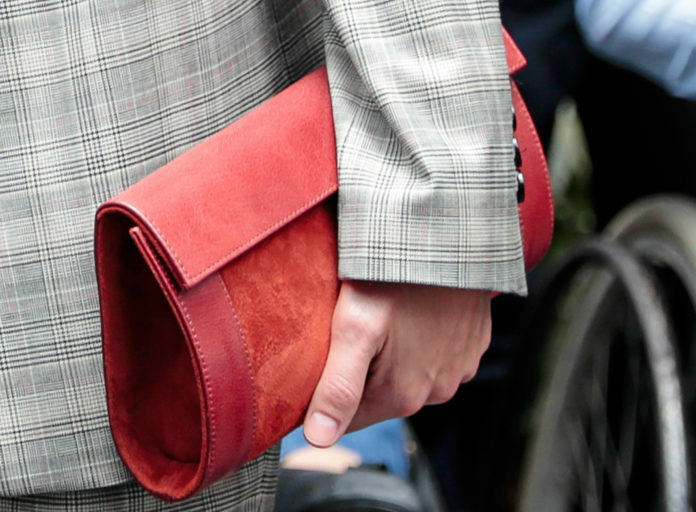 And carried matching Magrit Clutch first seen during Peru visit Last week. Her TOUS long chin earrings that she has since 2015, finished the stunning look. 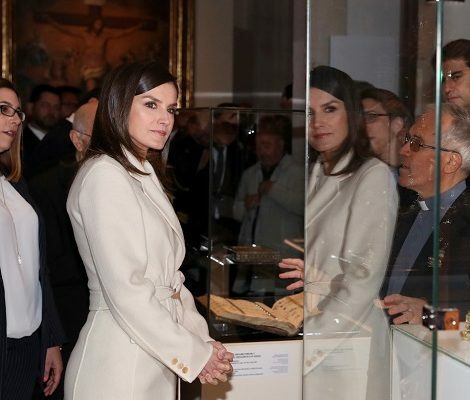 Next Queen Letizia will attend the centenary event of Red Cross’ School of Nursing and Central hospital on Tuesday.